The article details multiple long and short swing trade ideas for traders to consider. Entry triggers and stops are given for additional guidance. Notes: I do not hold names through earnings. I have NOT scrubbed these names for upcoming earnings so do your own due diligence in that regard. Also, these are purely technical set ups. No consideration has been given to fundamental factors. 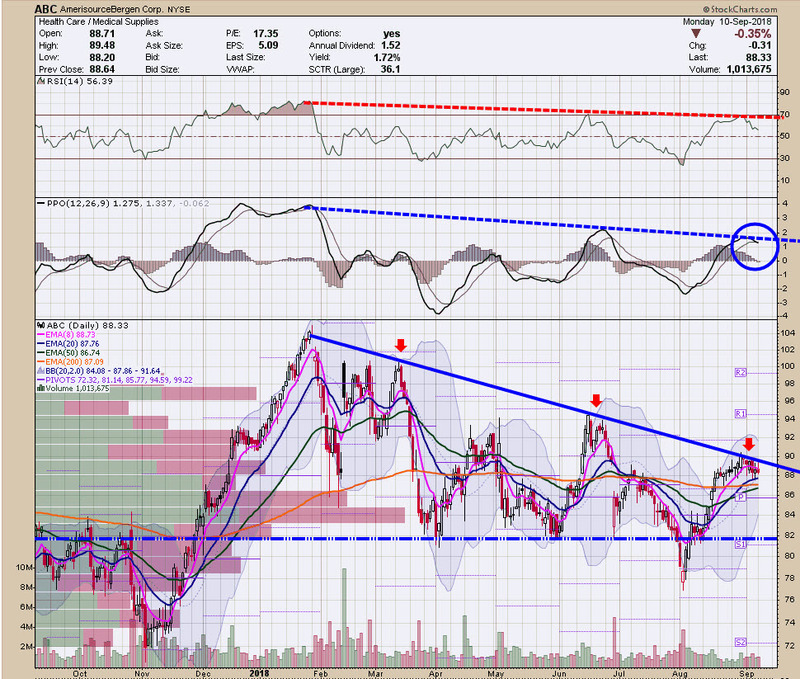 $CDW – A nice set up with an ascending triangle working against $88.50. Alarm $89 to get long. Formation projects to almost $100 if it fully executes. $RSG – A sleeper stock that’s working well. Recently broke above resistance but a clear stop remains close by. 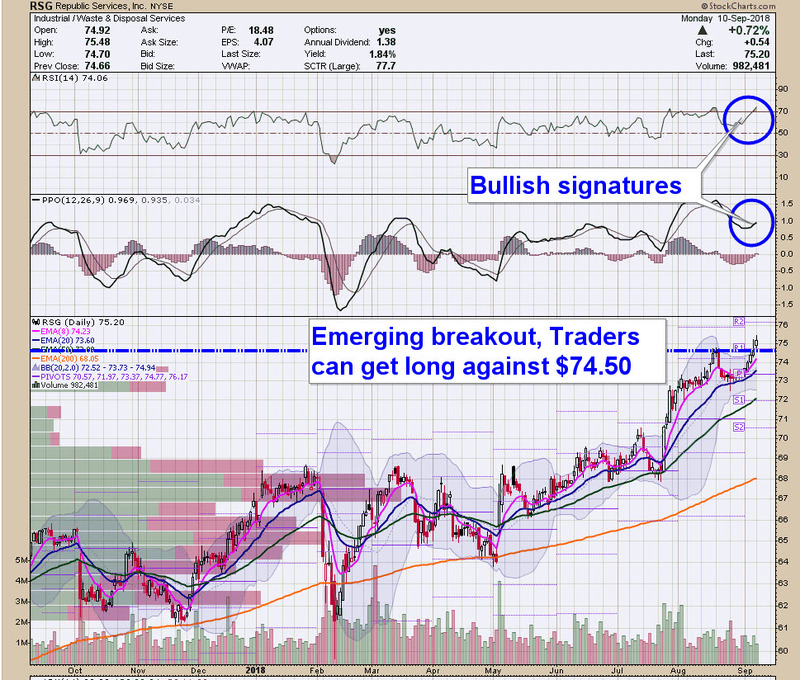 Traders can get / stay long against $74.50. $ROKU – Probably already on your radar but still looks good above $63 or so. $VRSN – This train keeps on rolling. Nice spot to get long with a clear stop near by. $PLAY – High tight bull flag for this restaurant. A break above $58 with conviction should unlock a move higher. $RHT – Former leader in the software group got whacked in June after earnings. Now price is set to enter a big $15 gap. 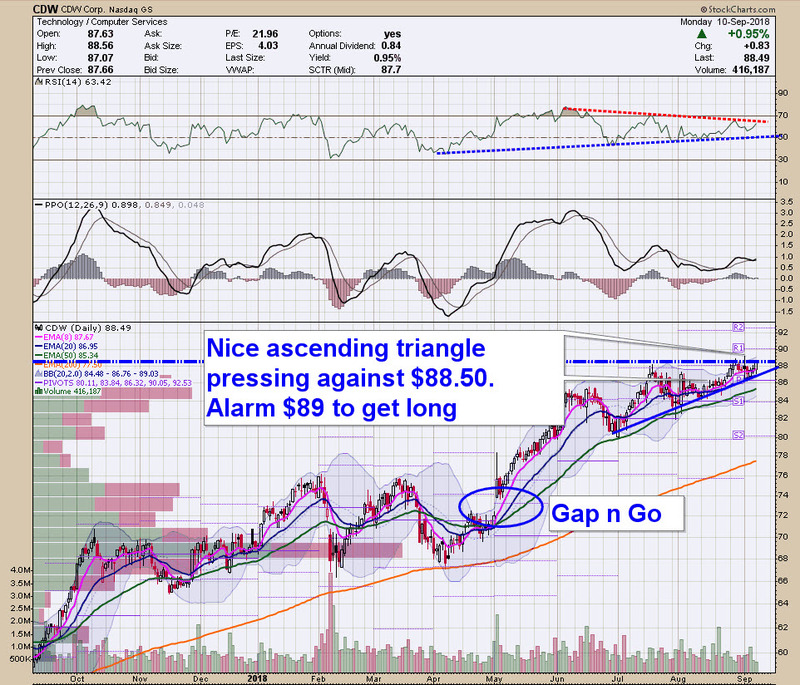 Alarm $150 for a price move into the gap. $ABC – Price is up at the top end of the range and is being rejected by the down trend line. Traders can get short and use the down trend line as the stop. 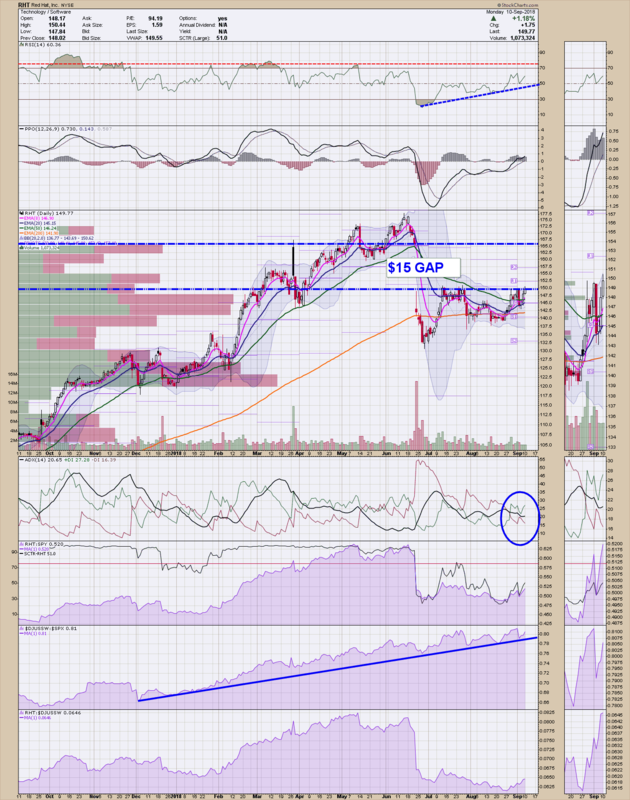 $NOAH – Nothing but thin air and darkness below $40. Alarm that level. 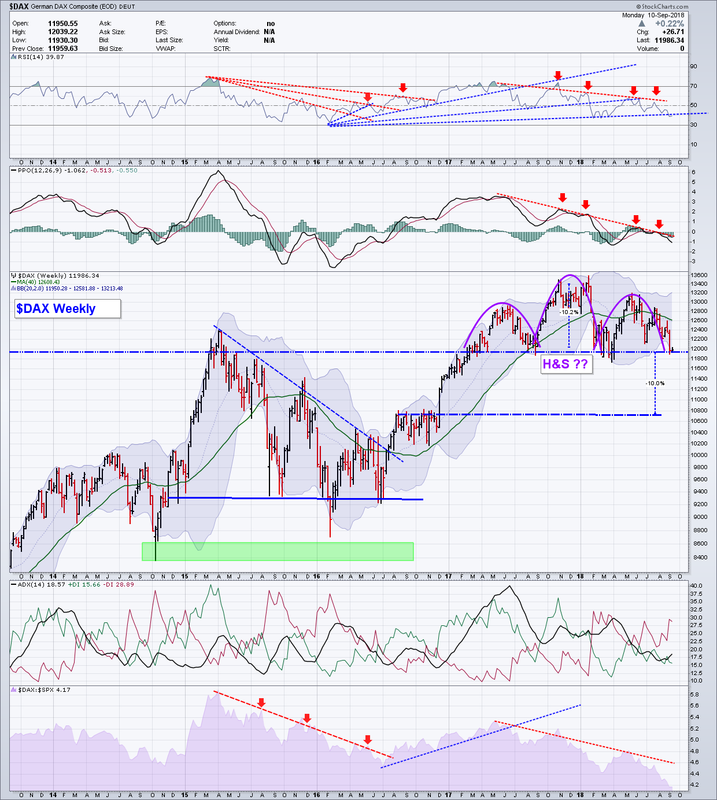 Homebuilders – $LEN, $BZH, $PHM Sector is getting whacked. Lots of interesting short set ups within the group. There you go! Lots of set ups for you to consider. Hope it helps!